Is your concern about the U.S. Citizenship interview preventing you from applying? 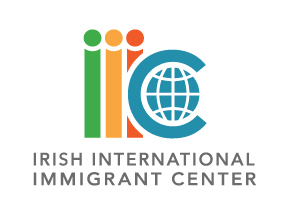 Be fully prepared for it with the help of the IIIC’s Citizenship Class! The six week course outlines the stages of the U.S. Citizenship process, gives an overview of United States History and Civics, and gives a detailed explanation of the interview itself. The information covered in the 100 possible interview questions from USCIS is broad and varied and the class provides a strong preparatory foundation or a great refresher for all students. IIIC staff members also take the time to discuss civic engagement with the class and encourage students to take an active role in their communities. Benefits of U.S. Citizenship include no restrictions on travel outside the United States, the right to vote, the chance to sponsor family members to come to the U.S., and the opportunity to run for political office. The naturalization process gives immigrants full rights to enact change in their communities, benefitting fellow immigrants and our country as a whole. The IIIC’s class illustrates the way this can happen and gives applicants confidence going into the interview. The IIIC’s Citizenship staff is also happy to assist students with the 10 page U.S. Citizenship application and to answer any questions they might have about the process. The next class will run for six weeks on Thursdays beginning in the New Year. To learn more about the class or to register, please call (617) 542-7654.